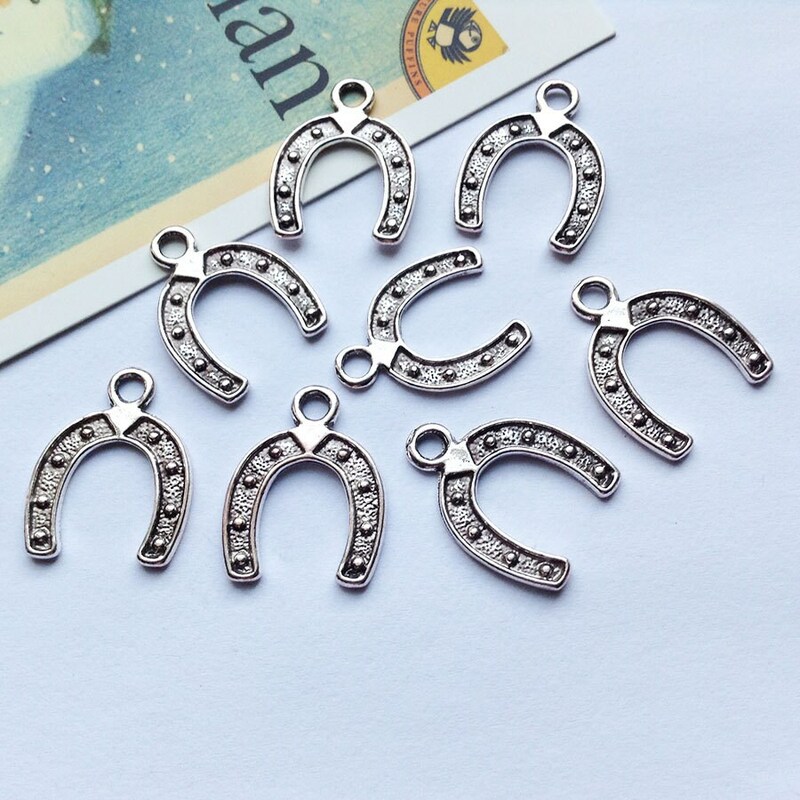 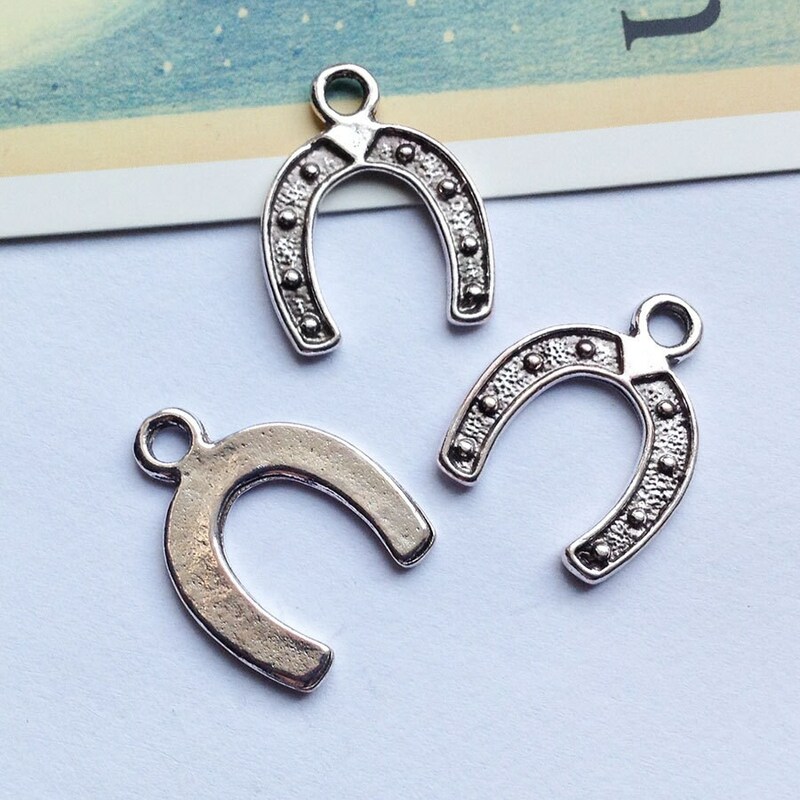 8 silver metal horseshoe charms. 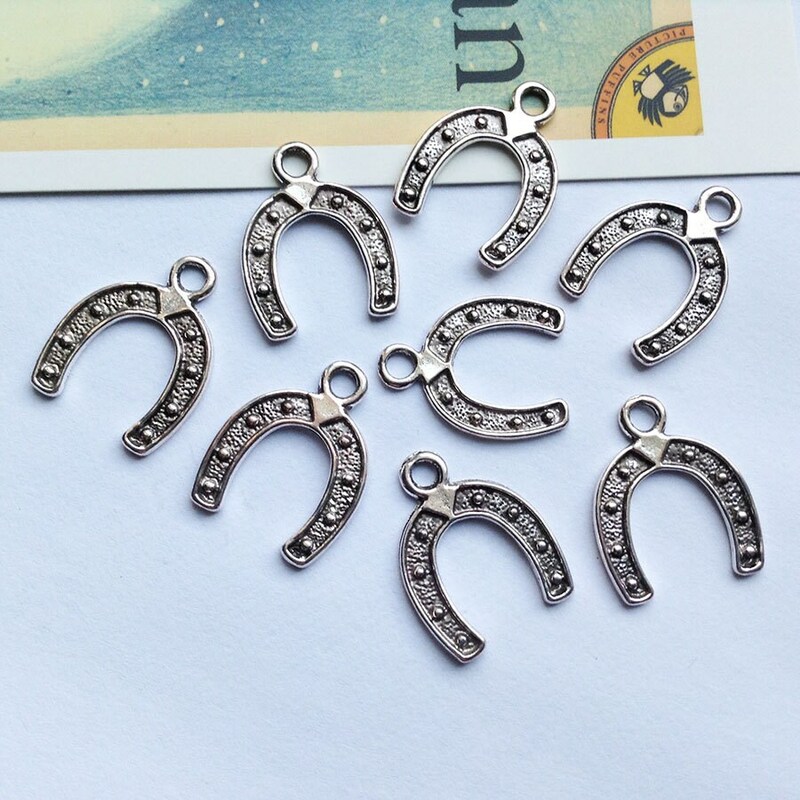 These charms are great for jewellery making, wedding favours or any crafty use. 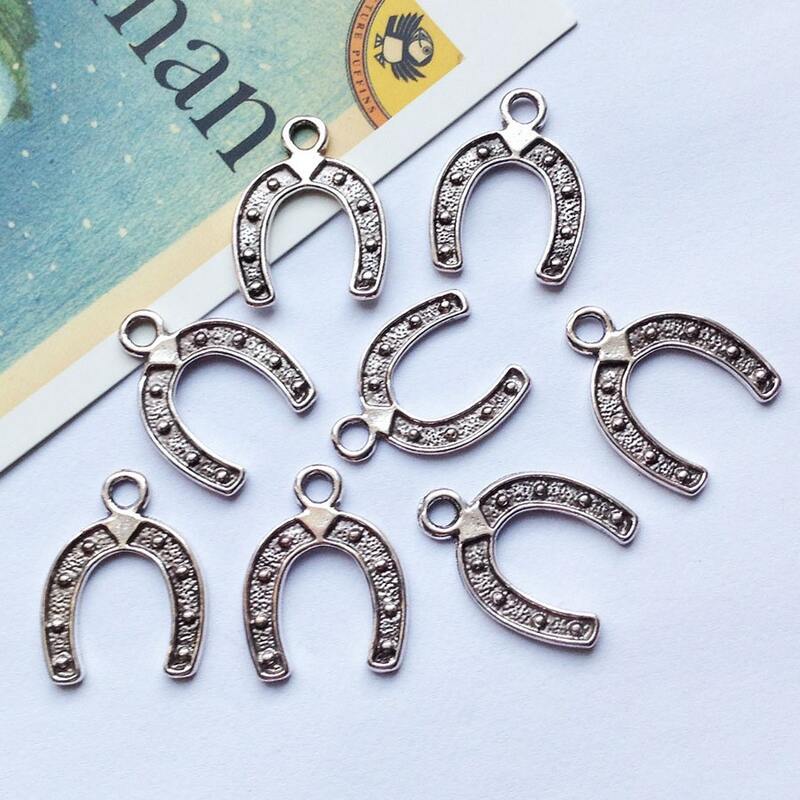 Detailed fronts and plain flat backs.